Ducati has created the café racer fans have been pining for since the demise of the old Sport Classic range. The new Scrambler Café Racer looks the part, is built to a gleamingly high standard and is simple to get on with for all riding levels. It doesn’t offer the last word in engine or chassis performance, but it was never designed to be a racetrack refugee. It’s still hugely capable no matter how you choose to ride it, but all this caffeine-fuelled loveliness comes with a sugary price tag. 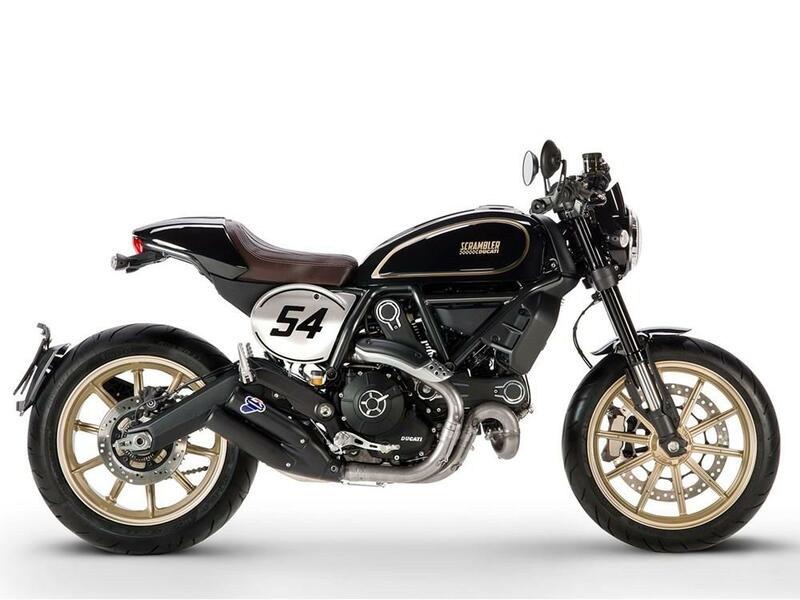 The Café Racer is more than just a generic Scrambler with clips-ons and a black and gold 70s-inspired 900SS Darmah paintjob. The rest of the Scrambler range have off-road ready 18” and 19” front wheels, but the Café Racer has a more road-biased 17-incher. Fat, sticky Pirelli Diablo Rosso II tyres adorn each end. 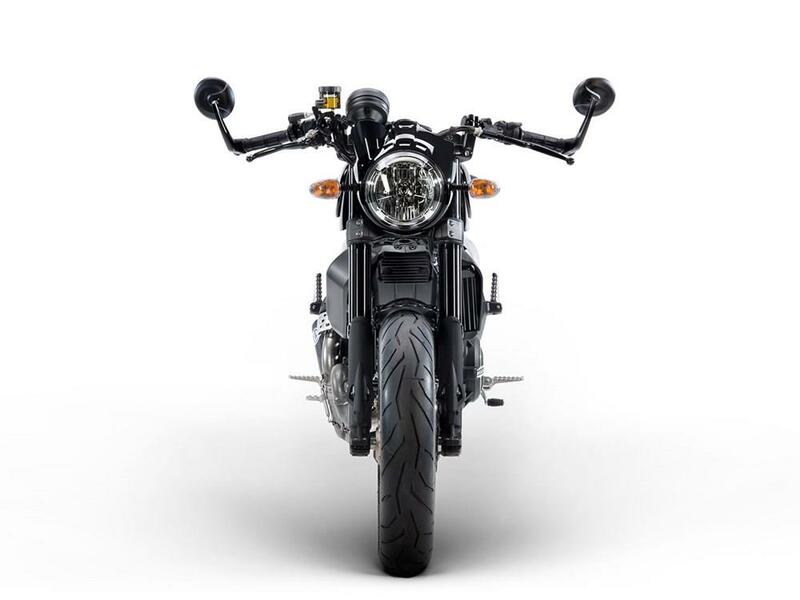 To cope with the extra cornering forces the Café Racer’s non-adjustable forks have longer upper tubes for extra rigidity (but are the same overall length and stroke) and the front and rear damping is beefed-up. Those new clip-ons aren’t too low and they’re spread nice and wide for maximum wiggle room. Pegs are rear-set, but still low, so won’t crush your knees. The seat is well padded and comfy for a few hours, but after that things get uncomfortable. 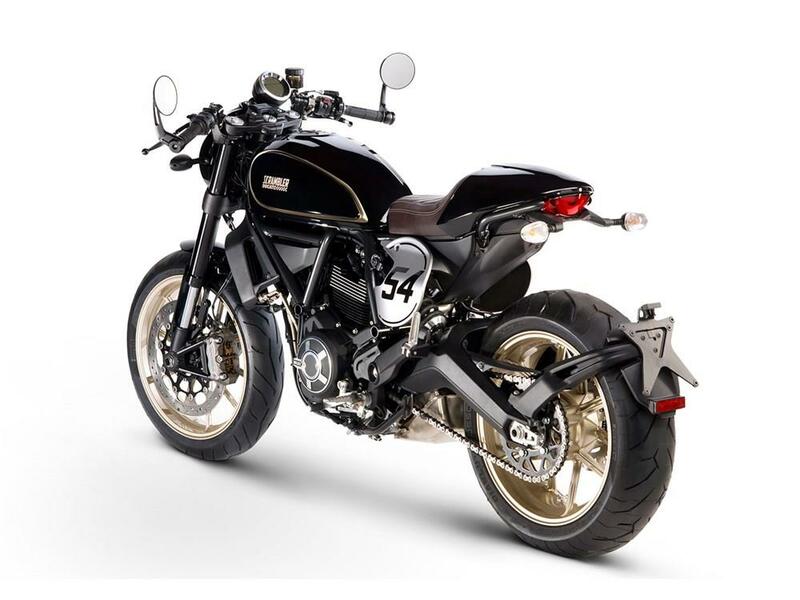 Weighing just 188kg full of fuel, the neutral-handling Café Racer takes little effort to flick from side to side, there’s loads of ground clearance and the brakes are up to the job of spirited riding. If you push it really hard you can soon find the limits of the chassis, but that’s not what this bike is all about. The only gripes are the rear brake lever that’s positioned too high and while the throttle has been modified to give a softer initial opening, there’s too much lag and needs twisting a good few inches before anything happens when you pull away or search for drive mid-corner. Just like its Scrambler brothers and sisters the Café Racer has an identical 75bhp, 803cc air-cooled, L-twin motor. It’s smooth, characterful and although modestly powered, still fruity enough to deliver big smiles. It features a new longer-throw throttle tube to smooth out the initial power delivery, the clutch and gearbox are light and the spread of Bologna-bred twin-cylinder power is wide and simple to tap into. This is a premium motorcycle. It’s not cheap but its quality shines through. Service intervals are every 7500-miles and it comes with a two-year warranty. 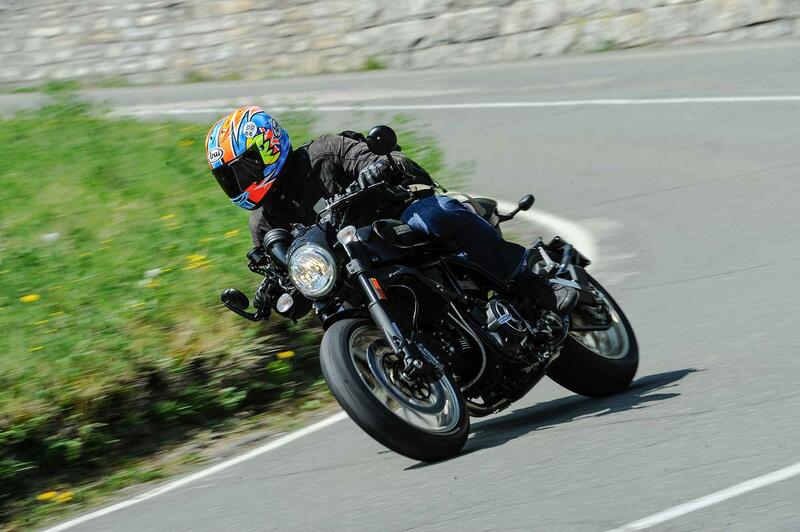 You could easily find a cheaper, more powerful naked roadster for the money, but the Ducati is a superb piece of kit and the reward of ownership is high. There’s lots of nice attention to detail, from the ‘Born Free’ engraved filler cap, to the jewel-like Brembo master cylinder and brake lever span adjuster, a Brembo monobloc radial front caliper, classy fork tops and the simple multi-function speedo. There’s also a full range of Scrambler parts, accessories and clothing available, too. It also has a new bar end mirrors, a swingarm-mounted number plate hanger, a removable Monster-look-alike single seat unit, a lower headlight position and new surround, a short front mudguard, new undertray and a black-painted engine with brushed-ali cooling fins. 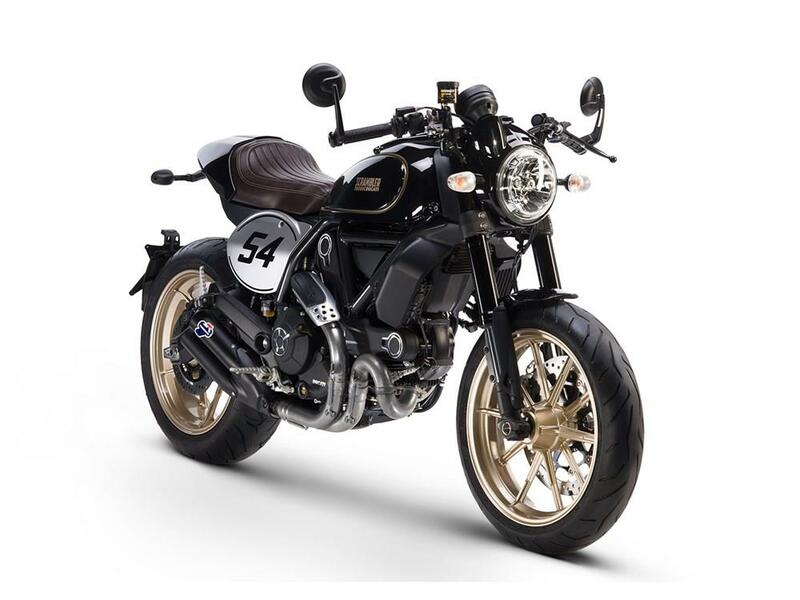 2017: Model introduced, based on Scrambler platform. 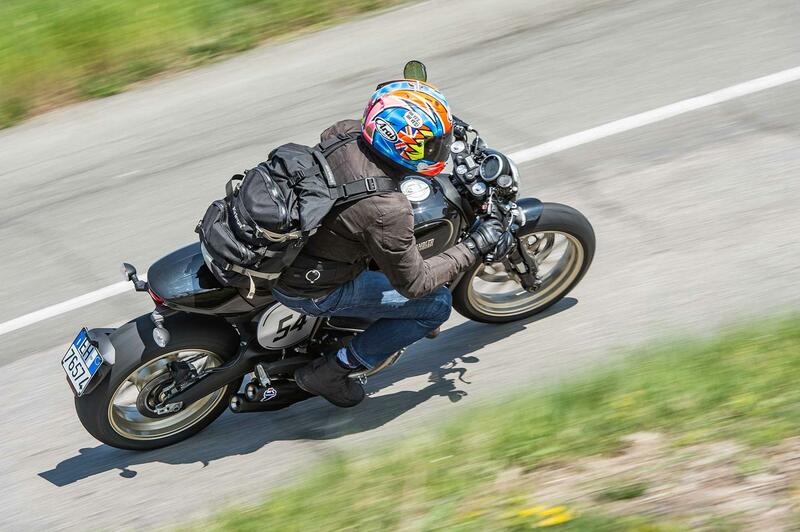 Café Racer, Desert Sled, Full Throttle, Classic, Icon and the A2 licence-friendly Sixty2. No owners have yet reviewed the DUCATI SCRAMBLER 800 Cafe racer (2017-on).